Bojan Louis, Naa Akua, and Jane Wong will open the evening with short readings from their work. Books will be for sale from Open Books: A Poem Emporium. Fernando Pérez is a Chicano poet from Los Angeles. He holds an MFA in poetry from Arizona State University. His poetry has appeared in several journals, including The Suburban Review, Hinchas de Poesía, Crab Orchard Review, and The Volta. 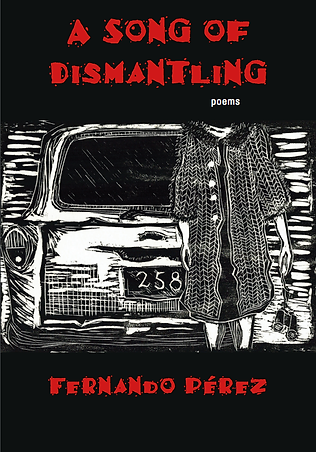 His first book, A Song of Dismantling, was selected as a finalist for both the Andrés Móntoya Poetry Prize and the Crab Orchard Series in Poetry First Book Award. He currently lives in Seattle and is an assistant professor of English at Bellevue College. Naa Akua is a queer poet, emcee, actor, and Performance Arts teacher at The Northwest School. Intentionality, love, and encouragement is the focus of Akua’s work that can be found in tracks like “The Elements” or “Till It All Goes Away” from their mixtape Odd(s) Balance (on SoundCloud.com). Recently, Naa Akua was a cast member of Book-it Repertory Theater’s adaptation of T. Geronimo Johnson’s Welcome to Braggsville and was a part of 2017-2018 season’s Late Night Revue Dear White People, a Boom Boom L’Roux production. Please continue to look out for this voice and presence. Jane Wong’s poems can be found in Best American Poetry 2015, American Poetry Review, Third Coast, jubilat, and others. A Kundiman fellow, she is the recipient of a Pushcart Prize and fellowships from the U.S. Fulbright Program, the Fine Arts Work Center, Hedgebrook, and Bread Loaf. She is the author of Overpour (Action Books, 2016) and is an Assistant Professor of Creative Writing at Western Washington University. In 2017, she received the James W. Ray Distinguished Artist award for Washington artists.